Nusa Dua,23 April 2016. Samabe Bali Suites & Villas has once again proved its excellent service after receiving an Award of Excellence from the leading booking platform, Booking.com on April 22, 2016. 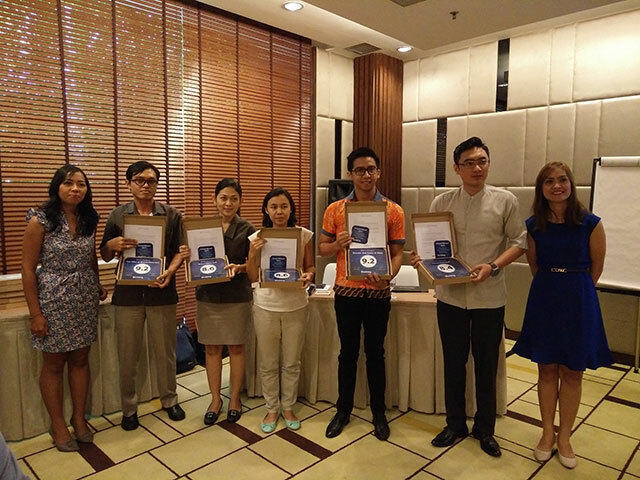 Represented by Mr. Darma Yudana as the Digital Marketing Manager, the resort has received the accolade in the awarding event held in one of the hotels in Nusa Dua. To show its working commitment with million partners worldwide, Booking.com attempts to honor the accommodations with an average review score more than 8.5 with award of excellence. This Nusa Dua luxury resort has successfully maintained its quality in terms of service and facilities offered and gained positive responses from its customers viewed from the average review score which is 9.2 out of 10. Ralf Luthe, the General Manager of the resort commented "The mutual business trust between Samabe Bali Suites & Villas has resulted positive responses from our customers. Our partnership has been initiated with our target that is customers' satisfactory"